Yunnan Through Foreign Students' Eyes, Volume 3: Arts in Yunnan. This third volume of the Yunnan Through Foreign Students Eyes series is entitled Arts in Yunnan. It includes papers that concern a wide variety of what are often considered arts, a commonly used term that actually becomes problematic under careful scrutiny. For the purposes of this volume we have chosen to include three general categories of arts, the Martial, the Medical and the Fine. Martial Arts topics discussed include Gongfu, Taijiquan, and the art of falconry in Lijiang. Medical topics discussed include Qigong, Traditional Chinese Medicine and Tuinna Chinese massage, as well as Tibetan and Dai medicine. In the area of Fine Arts this volume includes articles that discuss such diverse subjects as the Yunnan School of Art, Dai dance, Lisu music, Naxi literature, a search for living cultural treasures in Yunnan, and a few works of creative writing and poetry. Being set within the context of Yunnan, home to such a wide array of peoples and settings, the role of these arts within the cultures of Yunnan s minority peoples is prominent here and lends these papers a particular interest to those interested in ethnic diversity and the role of minority nationalities within China as a whole. In addition, many of these articles address the place of ancient Chinese traditions within the modern-day context. Yunnan Through Foreign Students Eyes is a collaborative project between the China/Yunnan Study Abroad Program of the School for International Training (SIT) based in Brattleboro, Vermont, USA and Yunnan Normal University based in Kunming, China. 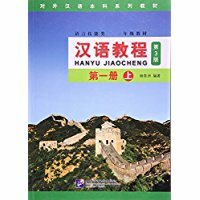 The papers included in these three volumes were written by undergraduate students based on fieldwork in Yunnan over the short period of one month Independent Study Projects. They are not extracts from Masters or Doctoral level dissertations or theses, but reflect instead the quality of work which can be carried out in a limited time by students fascinated by the peoples and cultures of Yunnan. New Paperback 15*23 cm, 304 pp.